WIDE VIEW rectangular magnifiers by Dazor. All the stretch-View® lenses are made of crystal-clear crown-optical glass. The rectangular shaped 3-diopter magnifying lens “stretches” the 5-inch circular viewing area to 6.75 inches. Dazor uses a powerful 18-watt compact fluorescent Full Spectrum light source (included) to produce 130 foot-candles at 15 inches above the worksurface. The 8MR series magnifiers come standard with a 3-diopter lens however you can order a 5 or 16-diopter lens as well. When ordering a higher magnification lens the field of view will decrease. 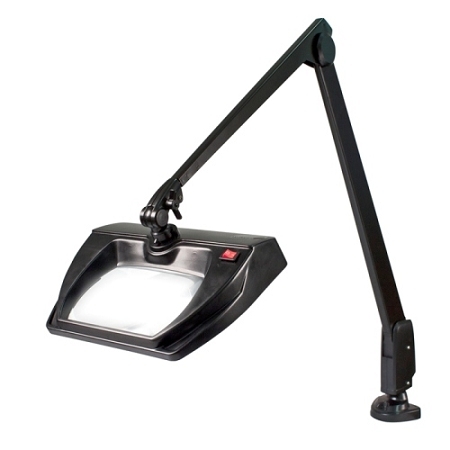 Dazor’s 8MR series magnifiers offer a 42” contemporary floating arm that features counterbalancing springs and joints for instant adjustment to any convenient position or direction. 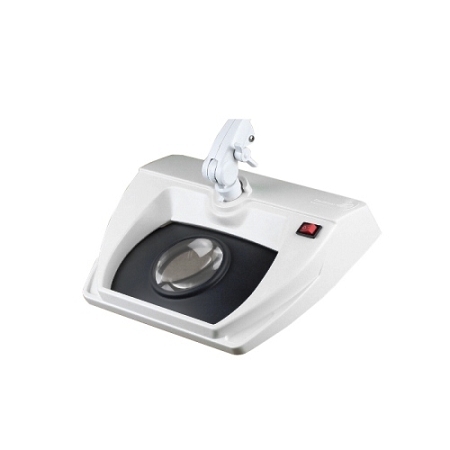 These magnifiers are available in Black, White, Almond and Dove grey colors for NON-ESD Magnifiers and in White for an ESD-safe Magnifier. 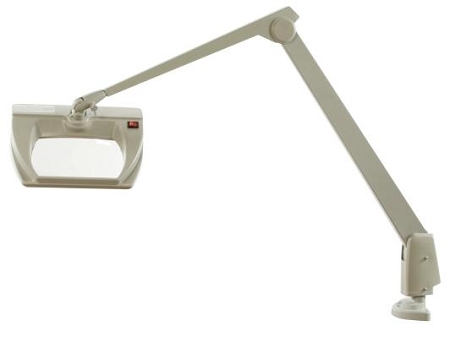 *Discontinued - Due to the market moving away from Fluorescent Bulbs, the Dazor Stretch-View Magnifiers will now only be available with LED Lighting. 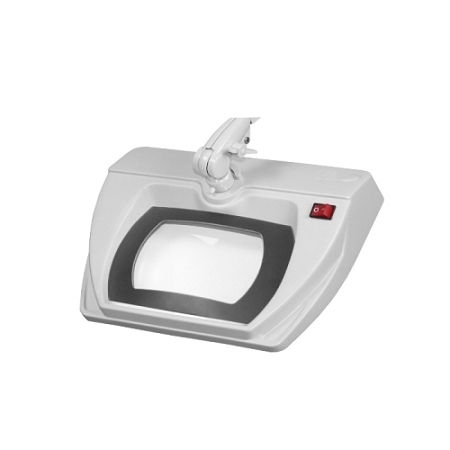 See LMR Series Magnifiers For Replacement.